Three subsidiaries of state-owned power utility Bulgarian Energy Holding EAD (BEH) will provide an additional amount of electricity on the day-ahead market (DAM) of the Independent Bulgarian Energy Exchange (IBEX) in order to stabilize the market. According to local media, the DAM prices increased 50% in December 2018 compared to December 2017, skyrocketing 200% year-on-year in January 2019. The Maritsa East 2 thermal power plant (TPP), the Kozloduy nuclear power plant and National Electricity Company (NEK) now supply 690 MWh, and from January 19, the quantities will increase to over 700 MWh. This is one of the measures agreed at a meeting between Energy Minister Temenuzhka Petkova, Energy and Water Regulatory Commission (KEVR) president Ivan Ivanov, managers of the public power utilities, the transmission system operator, and power distribution companies. After the meeting, Petkova said that securing additional quantities for the day-ahead market will increase liquidity and predictability in trading on IBEX. The IBEX DAM price this week is varying from BGN 141 per MWh to BGN 210 per MWh (EUR 72 per MWh – EUR 107 per MWh). In the same period last year, the prices were in the range of BGN 75 to BGEN 97 (EUR 38 – EUR 49). As a second measure, it was agreed to analyze the introduction of new products on IBEX, which will be proposed by power supply companies, while market coupling with neighboring countries is seen as a third measure. IBEX CEO Konstantin Konstantinov said that talks on coupling are being conducted with all neighboring countries, with most progress so far achieved with Macedonia and Romania. 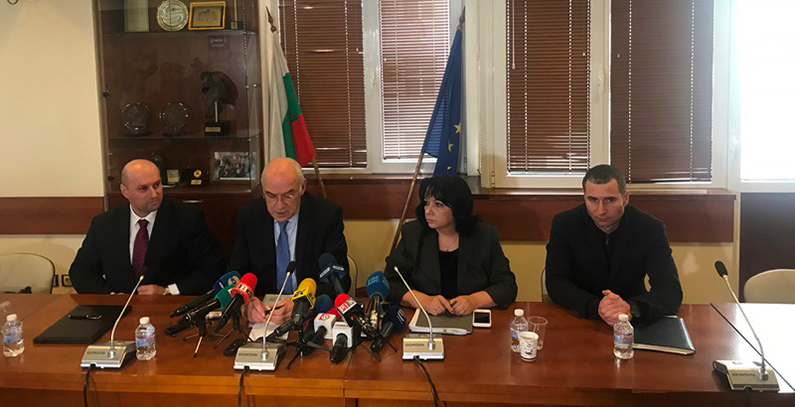 A week before the meeting, employers and government representatives called for urgent measures to ease tensions on the electricity market and in industry, Bulgarian news agency BTA reported. Employers and government representatives cite the monopoly of state electricity production companies, market operations of the power supply companies, and fees for the domestic sale of electricity as the source of major distortions on the market. A few days before the measures were announced, the Ministry of Energy and KEVR decided to start joint inspections of three power supply companies – CEZ, EVN, and Energo Pro. According to KEVR’s press release, the technical condition of the equipment and electricity meters and licensing procedures will be checked. The goal is to see if companies deliver the service paid by the consumers.